It’s impossible to think of Scotland without thinking about the Big Three: haggis, neeps and tatties! Our national dish is an institution, and never more so than on the 25th January, when we celebrate the life and works of ol’ Rabbie Burns by tucking in to a plate of this tasty trio. So far, so delicious. Unfortunately, one of the most wasted foods in the country is our beloved spud; a pillar of the Burns Night meal and an ingredient almost unrivalled in its delicious diversity. Half a million of potatoes are binned from our homes every day in Scotland. Highlighting the plight of the potato, Cat Hepburn, spoken word poet, has joined forces with us to address the issue. In the spirit of Rabbie Burns, Cat has turned to poetry, penning a contemporary ‘Ode to the Tattie’ to galvanise Scots to make a change so they ‘dinnae waste a morsel’ this Burns Night. So how can we avoid throwing out precious mouthfuls of mash this week? With fantastic new ways to enjoy it, that’s how. MacSween Haggis, Simon Howie and Charles Macleod gave us their favourite recipes to use up those lovely leftovers, or perhaps to enjoy as an alternative to the traditional dish. 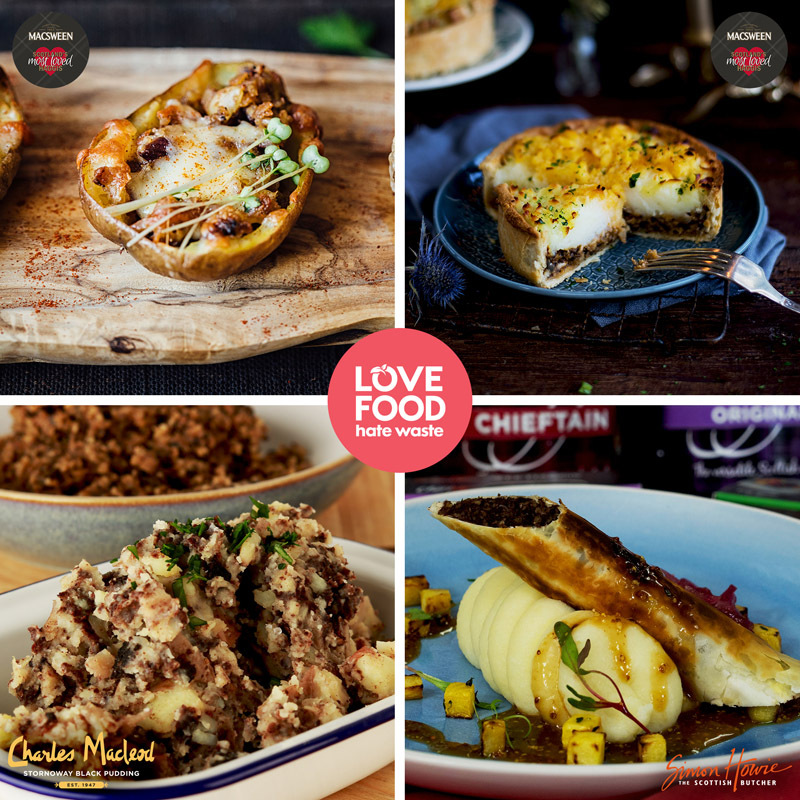 From simple black pudding mash, to a beautiful haggis pie, you might just discover your new favourite way to celebrate Burns Night! This hearty stew is delicious, filling and uses up your leftover veggies. What's not to like?